Lauriston is a non-selective, non-denominational school with a proud history of outstanding results and a strong vision and understanding of girls’ education. 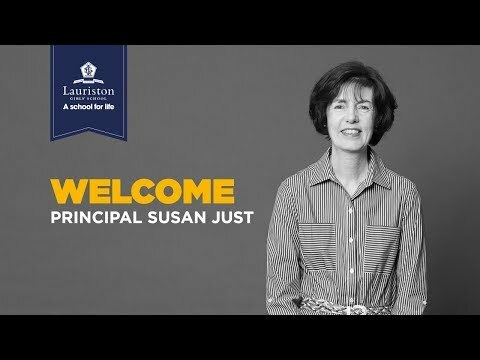 For more than 115 years, Lauriston has been one of Australia’s leading schools, with a focus on matching the best teachers with the best methods to bring out the very best in every student. During their final years of study, Lauriston students have the choice to study either the International Baccalaureate (IB) Diploma Programme or the Victorian Certificate of Education (VCE). Both programs can be tailored to suit the learning style of each girl, with students working closely with teaching and careers staff to develop a program that builds upon their strengths and complements their career path. For more than 20 years Lauriston’s Year 9 students have completed their studies at our Howqua Campus. Located three hours outside of Melbourne in Victoria’s high country, Howqua is an experience unique to Lauriston where girls study a complete academic curriculum while learning more about strength, resilience and independence. Students at Howqua also take part in an extensive wellbeing and outdoor program in which they experience camping, running, horse riding, skiing, cycling, abseiling and more. In the Junior School there is a strong emphasis on literacy and numeracy, as well as specialist and enrichment programs. Students also learn the value of leadership and develop the skills and competencies that help them engage with their peers and solve problems. Lauriston’s kindergarten offers coeducational three- and four-year-old programs based on the Reggio Emilia philosophy. Students at Lauriston are able to take part in music, orchestras, bands and ensembles; more than 25 sports; and multiple student clubs, including the Greenies, English Club and Amnesty International. Built in 2014 in collaboration with the Stanford University Graduate School of Education, the FabLearn Lab is a unique making space that students use to bring their ideas to life. Equipped with an extensive suite of materials and tools, including 3D printers and a laser cutter, the FabLearn Lab has been integrated into the curriculum to ensure our students are the forefront of technology and design. Lauriston’s modern and extensive facilities have been purpose built to ensure that every corner of the school complements the curriculum and helps students develop and enrich their lives. 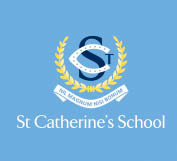 This includes a dedicated Science and Resource Centre; sporting facilities, including a gymnasium, swimming pool and tennis courts; and an integrated Performing Arts and Music Centre. The graduating class of 2016 achieved fantastic results – one in every three students achieved an ATAR of 95 or above, while the median score achieved was 92.9. Lauriston ranked number one for VCE Media and number two for VCE English results achieved across all of Victoria.